The Second Best Exotic Marigold Hotel comes back as soothing and cozy as its predecessor. Australian writer-director Stuart Beattie has developed a new twist on the cult horror classic with his upcoming film I, Frankenstein. I finally had the chance to see The Best Exotic Marigold Hotel, after missing it in theaters. The buzz surrounding this film is spot on, making this one of the best ensemble films of the year. John Madden directed the fantastic cast of veteran thespians, which include Judi Dench, Bill Nighy, Maggie Smith, Penelope Wilton, Tom Wilkinson, Dev Patel, and Ronald Pickup.The film is based on Deborah Moggach’s 2004 novel, and is a nice mix of drama and comedy. 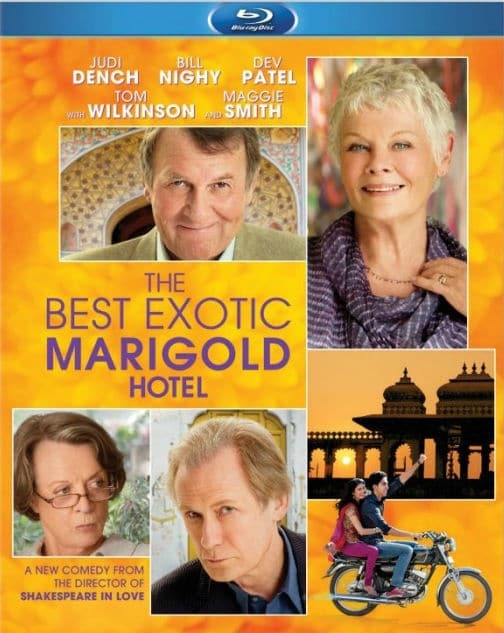 Enter to Win THE BEST EXOTIC MARIGOLD HOTEL on Blu-ray!